As we journey deeper into the world of Common Core, the need for factual evidence rather than emotional opinion becomes more and more vital. So that got me thinking in a more targeted way: as an ELA teacher, what are the forms of evidence that student must embed into their writing? Well, if we write about literature, we clearly use quotes as textual evidence. However, with argument being such a focus, we need to expand our definition of evidence. Math teachers know this. Science teachers know this. After all, they use numbers to prove claims all the time. But with the Common Core, there must be a merging of ELA’s linguistic approach to evidence and STEM’s logical approach. However, it takes knowledge of writing with numeracy. It’s vital that we target lessons that teach specifically to this skill. To address this, I developed a short guide for my honors and remedial classes. Please note that these rules aren’t necessarily cut-and-dry. They are still debated, but for the purposes of the advocacy speech and essay that my students were constructing, these rules applied. Just a little background about the assignment itself: The students were asked to find a cause, research that cause, present an argument as to its importance locally, nationally or internationally, then convince an audience to fund a call to action. They produced infographics using Piktochart.com as a means to integrate art, data, and writing into their evidential presentation. They also were required to use data organically embedded into their actual paragraphs. Writing with Numeracy. Now, as an ELA teacher, I believe it is my job to help guide them in their writing quality, but I give them that choice of topics in as many assignments as possible. For their advocacy unit, students were able to choose topics based on their research and interests. This year, I have topics that range from Bullying to the De-funding of NASA, from Cell Phone Usage in Schools to Declassifying Government Documents. All of these topics required research, argument, and as a form of evidence, writing with numeracy. Below is my guide for Writing with Numeracy. You’ll notice that the examples I give all pretend to be statements from mythical advocacy essays that also generally cite their sources. After all, I’m modeling for their use in their final drafts. The next step was to ask them to write examples of each rule. Then, they filled out a simple 5-question Google Form that asked them to use these rules. Of course, they could use their handout because that encourages the use of their resources. Obviously, the most important assessment is whether they then applied these rules to their actual writing. But it was successful not because I drilled and killed these rules; I simply spent a day teaching them explicitly and then raised my expectations to include their use from here on in. As we continue to write our advocacy essays, you will be asked to embed evidence in the form of both words and numbers. Sure, we use anecdotal evidence and personal experience as a form of evidence; but those aren’t the most convincing because they show bias. However, a more solid form of evidence can be found in numerical data. Throughout this unit, you will be expected to provide proof of your findings in evidence presented in writing, in infographics, and in numbers. Graphs, Stats, Polls will also play a part in your final submission. All of these methods and more will help convince an audience of the importance of your issue. 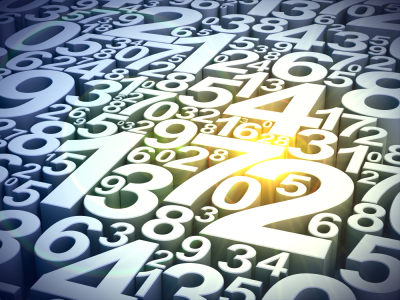 When writing with numbers, there are a few rules of thumb. Please note that not every rule here is universally accepted. These are the general rules for many experts. If something comes up in your writing that isn’t answered in this document, or if you want to learn other rules about writing with numeracy, I have provided some resources below to further your independent learning. 1. Numbers that start a sentence are in words. Ten years ago, the factory was a vibrant community of employees. 2. Spell out single digit whole numbers and numbers that are single words. Use numerals for numbers made up of two words. Eventually, twenty students came forward with bullying accusations. Eventually, the entire team of 24 came forward with bullying accusations. 3. Be consistent within a category. I know this might contradict another rule, but you have to make a choice. The ten warlords fought against the twenty-two tribes. 4. Always spell out simple fractions and use hyphens with them. According to the World Health Organization, this disease has affected one-half of the children in the country. 5. Round numbers are usually spelled out. People use around fifteen hundred plastic bottles a second, according to Watershed.com. 6. Use numbers when expressing decimals. According to the Federal Food and Drug Administration, it would only cost $.10 per family to provide them with this resource. 7. Decades should be spelled out in words. The Seventies marked an entirely different decade than the one that preceded it. 8. Spell out ordinal numbers. The first time he spoke in front of an audience, he felt weak in the knees. 9. Use numbers for times (if using am or pm) and for use with dates. The earthquake struck at 7 a.m. on March 21, 2010. 10. Do not use “from” or “between” before a date range that uses a hyphen. It’s redundant and meaningless. Use: From 1986 to 1987, the city was struggling to maintain its level of economic growth. Don’t Use: From 1986-1987, the city was struggling to maintain its level of economic growth. All three students used their cellphones to access their assignment. All 11 students used their cell phones to text their responses to their teachers. Found more? Send them to your teacher to add to this growing list of resources! chatbot agency - chatbot agency Get the new technology chatbots service now available at amazong prices now! see this now - see this now Learn the latest bot market service now available plus on megasale now! googleplus - googleplus Get started today with the best placement company that are available and guaranteed to produce results today! web optimization - web optimization Get going now with the most professional Marketing company that are available in addition reasonably priced today! custom chatbot - custom chatbot Learn the best chatbot strategy platform now available at best prices now! get this information - get this information Get the best chatbot trends technology now available on megasale now! customer service chatbot - customer service chatbot Get the new technology facebook chatbot service now available on megasale now! his comment is here - his comment is here Get started today with the most professional list marketing now available and reasonably priced today! google optimization - google optimization Get started now from the best search engine that will be available in addition reasonably priced today! this content - this content Get started today with the most professional video Marketing that are available and reasonably priced today!